Linux has very advanced Routing, filtering and traffic shaping options. This site attempts to document how to configure and use these features. 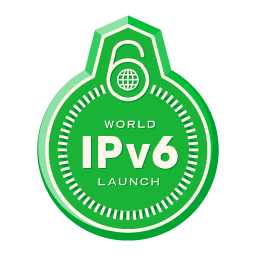 2012-05-20 lartc.org is now reachable via IPv6! 2012-05-20 The lartc.org website is now valid HTML 4.01 Transitional. Generated content (i.e. HTML from Docbook) still needs work, though. 2012-05-19 lartc.org has a new maintainer! Bert Hubert has transferred ownership of the domain to Carl-Daniel Hailfinger. A big THANK YOU goes to Bert Hubert for starting and hosting lartc.org and the associated mailing list for many years. Everybody is invited to contribute to lartc.org and a git tree for the website (including LARTC HOWTO, Wondershaper and man pages) has been created at http://repo.or.cz/w/lartc.git. Please send any patches or pull requests to the new LARTC mailing list lartc@vger.kernel.org and I'll try to integrate them in a timely manner. Please note that the old mailing list and old HOWTO submission e-mail addresses are no longer active. Users of the old mailing list are encouraged to move to lartc@vger.kernel.org. Bert Hubert has offered to continue hosting the old mailing list archives at http://mailman.ds9a.nl/pipermail/lartc/. It appears that the topic of our HOWTO is getting popular, so we decided to start a mailinglist dedicated to discussions about advanced routing & shaping with Linux! The advent of the Linux Advanced Routing & Traffic Control list also means that questions asked privately will no longer be answered, as these answers benefit only single users. Asking questions on the list is far more net-friendly. So if you want to ask us a question, subscribe to the new mailing list, and ask it! An archive of the new mailing list is available. An archive of the old mailing list is also available, and google has picked it up as well. Please note that due to excessive spam the list has become 'members only' - so please subscribe first! The moderator will not approve postings from non-subscribed addresses as he is not available at all times. If you just want to post, and not receive mail, you can indicate this on the Mailman mailinglist management page. FIXME: Is the new mailing list subscriber-only as well? The French version by Laurent Foucher and Philippe Latu from the Technology Institute of the University of Toulouse plus Thierry Mallard and Yannick Quenec'hdu from Idealx is available here. Terrific work! A Korean translation can be found on here. Like the Linux kernel, we have a jobs list. If you have any expertise in any of these areas, please pitch in. There are a *lot* of FIXME notices, so this means YOU! If you made changes and want to contribute them, run 'git diff', and mail the output to lartc@vger.kernel.org, we can then integrate it easily. Thanks! Please make sure that you edit the .db file, by the way, the other files are generated from that one. The idea is that this HOWTO will be a cooperative effort, much like the Linux kernel itself. This site made possible by PowerDNS, for all your domain needs and nameserver software.